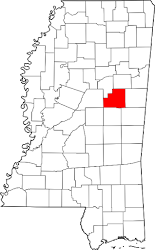 The Board of Supervisors of Winston County, Mississippi took up the matter of the need for official action to implement the authority granted to the County under Senate Bill No. 2938, 2010 Regular Session, Mississippi Legislature, amending Mississippi Code Annotated Section 19-5-313 (1972) and imposing a service charge on Voice over Internet Protocol (“VOIP”) subscribers in the Winston County. After full discussion of the subject, Supervisor______________ offered and moved the adoption of the following Resolution. It shall be unlawful for any person to openly carry or brandish a firearm on the grounds of the Winston County Courthouse unless said person is a duly designated law enforcement officer or unless the person has the express permission of the Winston County Sheriff and/or the Winston County Board of Supervisors. Any person found in violation of this ordinance after being forewarned is to be taken into the custody of the Winston County Sheriff or his duly appointed deputy and delivered to a Justice of the Peace of Winston County where if found guilty of this ordinance said person is to be guilty of a misdemeaner crime comparable to unlawful trespassing. BE IT REMEMBERED that the Board of Supervisors of Winston County, Mississippi, held a meeting at the Courthouse in the City of Louisville, Mississippi, at 9:00 am, this the 3rd day of June, 2013, the same being duly noticed and posted to all necessary parties.